The pay-TV boom currently being enjoyed by operators in the Asia-Pacific region looks set to continue over the next five years, with revenues likely to more than double in five countries in the region, according to a new report from UK firm Digital TV Research. Pay-TV revenues in the APAC region are forecast to grow by over two billion US dollars this year to reach US$ 33.9bn, and continue at roughly the same growth rate in the mid-term to reach US$ 43.9bn in 2018 — up a heady US$ 12bn from the 2012 total. The Asia Pacific region is currently undergoing a rapid digital TV conversion that saw penetration increase from 16% in 2008 to 44% in 2012, and is expected to reach 90% in 2018 — or up by 440mn homes between 2012 and 2018. By end-2013, digital penetration will reach 53%, or 420mn homes (up by 78mn on the end-2012 figure). Of the 440mn digital homes to be added between 2012 and 2018, digital cable will contribute the most (187mn), while analogue cable will lose 141mn. DTT will supply an extra 128mn, followed by pay IPTV with 71mn, then pay DTH with an extra 35mn. 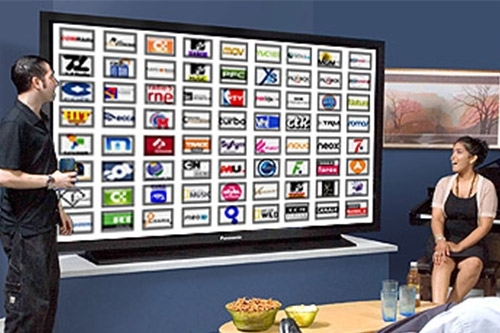 Pay IPTV subscribers are expected to overtake pay DTH ones in 2016.